Manners set expectations for social behavior according to contemporary conventional norms within a society, social class, or group. Lord Byron, Don Juan (1818-24), Canto III, Stanza 41. Giovanni della Casa, Galateo: Or, A Treatise on Politeness and Delicacy of Manners, pp. 42-43. William Cowper, Conversation (1782), line 193. Will Cuppy, How to Be a Hermit (1929). Ralph Waldo Emerson, Letters and Social Aims (1876), page 104. Johann Wolfgang von Goethe, Elective Affinities (1809) Bk. II, Ch. 5, R. J. Hollingdale, trans. (1971), p. 195. He was so generally civil, that nobody thanked him for it. Ah, ah Sir Thomas, Honores mutant Mores. Manners (Lord Rutland). To Sir Thomas More. Answer of Sir Thomas More to Manners. Margaret More, Diary, (October, 1524). Bertrand Russell, Mortals and Others, p. 337-38, "Good Manners and Hypocrisy", 14 December, 1934. Bertrand Russell, Mortals and Others, p. 339-40, "On Being Insulting", 21 December, 1934. Abel Stevens, Life of Mme. de Staël. All Politeness is owing to Liberty. We polish one another, and rub off our Corners and rough Sides by a sort of amicable Collision. To restrain this, is inevitably to bring a Rust upon Mens Understandings. Quotes reported in Hoyt's New Cyclopedia Of Practical Quotations (1922), p. 493-94. William Pitt, 1st Earl of Chatham, Correspondence, I. 79. Nobody ought to have been able to resist her coaxing manner; and nobody had any business to try. Yet she never seemed to know it was her manner at all. That was the best of it. Charles Dickens, Martin Chuzzlewit, Volume II, Chapter XIV. Ralph Waldo Emerson, The Conduct of Life, Behavior. Das Betragen ist ein Spiegel in welchem jeder sein Bild zeigt. Translation: Behavior is a mirror in which every one shows his image. 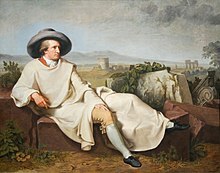 Johann Wolfgang von Goethe, Die Wahlverwandtschaften, II, 5, Aus Ottiliens Tagebuche. The mildest manners with the bravest mind. Homer, The Iliad, Book XXIV, line 963. Pope's translation. My lords, we are vertebrate animals, we are mammalia! My learned friend's manner would be intolerable in Almighty God to a black beetle. William Henry Maule, to the Court, on the Authority of Lord Coleridge. We call it only pretty Fanny's way. Thomas Parnell, An Elegy to an Old Beauty; compare Leigh Hunt, translation of Dulces Amaryllidis Iræ. Punch, March 15, 1884, accompanying a drawing by G. Du Maurier. Quæ fuerant vitia mores sunt. What once were vices, are now the manners of the day. Seneca the Younger, Epistolæ Ad Lucilium, XXXIX. William Shakespeare, Henry VIII (c. 1613), Act IV, scene 2, line 46. Mais les bienfaits sur le marbre. Where manners ne'er were preach'd. William Shakespeare, Twelfth Night (c. 1601-02), Act IV, scene 1, line 52. Alfred Tennyson, Lady Clara Vere de Vere, Stanza 5. Ut homo est, ita morem geras. Suit your manner to the man. Terence, Adelphi, III. 3. 78. Obsequiousness begets friends; truth, hatred. Terence, Andria, I. 1. 41. This page was last edited on 24 August 2016, at 15:02.